The 'Mani Ratnam' fever is all set to begin on June 18. One of India's finest film-makers, Mani Ratnam is all set to release his big budget extravagance Raavan in Hindi and Raavanan in Tamil. Let's take a look at what his team members have to say about this legendary director. A.R. Rahman: It's all been very good and exciting. The thing with Mani is that he receives every idea with great respect. It's not just the usual "Give me 5 tunes for my film". 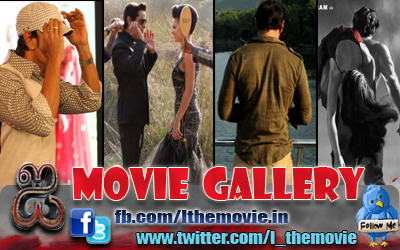 We try to explore various avenues while composing the music in the interest of the film. After a point, I think you understand exactly what a person needs and what is it that he actually wants. It's pretty much the case between Mani and me. By the grace of God we've pulled it so far and continue to do so in the future. Action director Shyam Kaushal: The shooting for Raavan began in January 2009 in Kolkata, then Ooty, and the climax was shot on Malsej Ghat where there’s a scene on bridges 2,000 feet above mountains. Mani loves challenges and likes challenging his actors and technicians too. His quest for perfection puts them through a gruelling routine. Production designer Samir Chanda: Mani's enthusiasm was like that of a child. Raavan was a tough one, especially the floods scene and the climax, which gave me sleepless nights. I had to build three bridges, one for the actors' long shots which was 210 feet long, another for their close-ups which was 70 feet long and the third for just the actor's leg work (running falling, etc.) which was 30 feet long. Sanjeev Lamba, CEO, Reliance BIG Pictures: Raavan is an extremely exciting project. Our partnership with the Madras Talkies team has ensured that we managed everything smoothly and to a high standard. We are looking forward to the film’s worldwide success. Veteran lyricist Gulzar: I feel saying Mani is incomplete. It doesn’t sound complete to me at all. So I call him Mani sir. Everybody from the cast and crew call him that so even I have started calling him so. It is wonderful working with this magician called Mani Ratnam. I have always enjoyed working with him and I hope to continue working with him. Veteran lyricist Vairamuthu: I have penned the six songs of Raavan sitting in the same place. Mani Ratnam has made this film like a penance. Mani Ratnam, Vikram and Aishwarya Rai will definitely get National Awards. 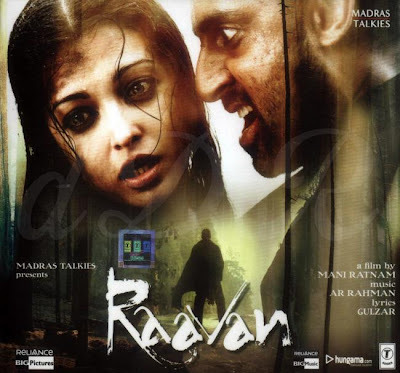 Santhosh Sivan: Raavan and Raavanan were among the most difficult films to shoot, as they were two different films with different actors. I think the fight on the bridge is quite interesting. That’s because it is for real and has not been created using computer graphics. The climax fight that takes place between Abhishek and Vikram in Raavan and Vikram and Prithviraj in Raavanan on a wooden bridge actually required three different bridges to be built so that the scene could be captured from different angles. Sometimes, I think being a cinematographer for some films makes you discover very interesting hidden locations. We even had a rain cloud envelope us as we were filming atop the hills.